Tal Amiran, director of Seven Days A Week and winner of the Londonist Award for Best London Short Film. Photo by Romain Kedochim. Philip Illson and Jo Duncombe of the London Short Film Festival. Photo by Romain Kedochim. Stu Black and Ioanna Karavela awarding the Londonist Award for Best London Short Film. Photo by Romain Kedochim. A beautifully-made portrait of a newspaper seller in Crouch End scooped the Londonist Award for Best London Short Film at the climax of the London Short Film Festival on Saturday. 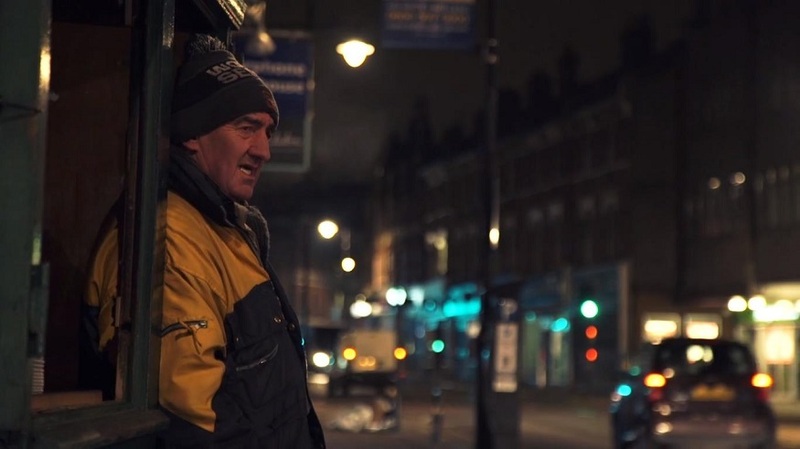 Seven Days A Week by filmmaker Tal Amiran tells the story of Paul Saxton, who has opened his North London paper stall every morning at 4.40am, seven days a week for the last 36 years, rain or shine. It’s a poignant depiction of a life that has changed with the city, a job that may disappear altogether after Paul and his generation retire. The Londonist team picked the documentary from an impressively strong and varied shortlist, citing Amiran’s poetic approach and his ability to get under the skin of his subject, so that the life of a type of Londoner so often taken for granted both resonates and lingers long in the memory. Amiran told Londonist: “It’s particularly exciting to be part of such a wonderful festival in London, because it’s where I’m from and it’s where Paul’s from”. We will have an interview with Amiran later this month, plus information about where the film is screening. To watch more great short films about the capital, check out our London Shorts section.